Energy awareness matters. As does cultivating inner practices that support growing awareness of your energy, the energy of others and Life energy. When you are aware of energy in daily life, curiously paying attention to your mind, body and heart, you can gather information to help navigate your life in real and tangible ways. Noticing energy can awaken you to potential new realities beyond your current life circumstances. That dream job abroad. A book contract. The social project that helps changes lives. Or the YOU that wants to dance all day long, paint until your fingers blister and skip through fields of endless daisies. In short I’m talking about revelling in the untethered, ever expansive beauty of your heart. As I grow in awareness of the energy both within me and without, unexpected aspects of my Self have come alive. Numerous thoughts and actions that previously induced resistance, no longer trigger a fear response in my body. Yet some old energies die hard. In my life I have noticed this plays out as a tendency to delay and avoid writing the words that arise, when connected with my inner being. Through self-study and the unconditional love of a mentor (yes I said love), notions of how my essence should look or sound, continue to fall away. Five years ago I was decluttering my home and blogging about living a less busy life. Today I write about, and hold space for women desiring to embody their essence. The shift in my outer life, is a result of allowing shifts in my inner life. I follow the energy of that which desires expression through me. More specifically, I actively practice surrendering to Life. In surrender, a more visible Self emerges. A Self that respects the unknown, and follows what arises in her experience; fear included. When I silence myself and the words that desire expression, I experience stagnation in my reality. I trust in sharing this, you too can be curious about how stuckness shows up for you. Stuckness, as in, life not flowing. Surely a sign post calling for your attention, yes? To better navigate the hows and why’s of stuckness in your life, it must be studied by you. 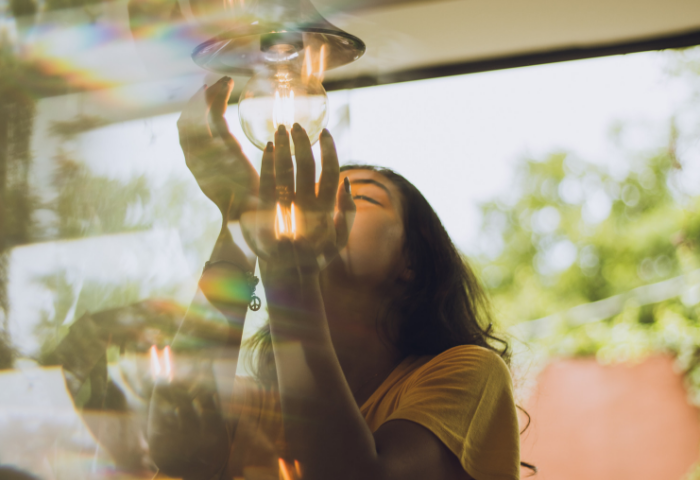 Whether stuckness shows up as fear and the inability to begin your heart led business, attend a new class, grow a spiritual practice, or explore your sensitivities; it is all energy, just waiting to grow a deeper relationship with you. This is all rather funny to me now, at age 41. Accepting myself as someone who experiences life through the lens of energy, my early years did not nurture this view. It continues to require dedicated self-love and exploration, to allow myself to perceive energetically, intuitively and rather shamanic in nature, all experiences as they are. In following my process, my perception of experiences has gifted me the capacity to allow your experiences to be as they are. It’s been a powerful lesson personally, and one I was destined to learn and will continue to show up to in this life time. 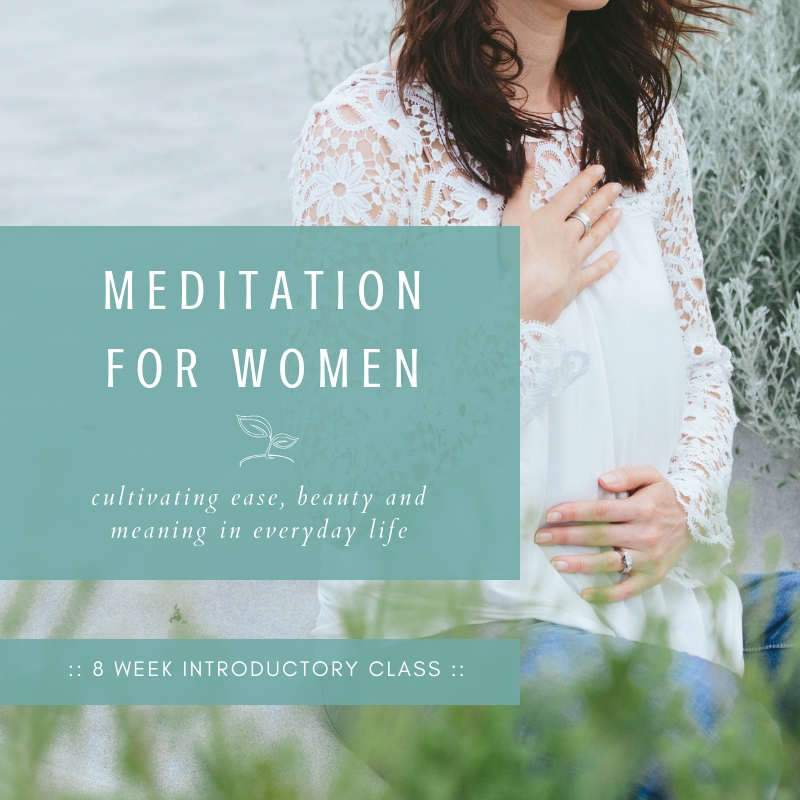 Women, the ease you seek, the connection with your deeper self, infinite self, soul self, divine self, all that is, totality of Life – is right here. Right under your nose. In your resistance to the mundane. In your avoidance of commitment. In the harsh words you speak to yourself. In the inability to let go of mental concepts that hold you to the belief that something beyond you, will fill the void. A void that is only a manifestation of the mind. And it’s not your fault. Our culture is masterfully designed to keep us from remembering the potential that lies dormant within us. The hole you attempt to fill, the desire for better, more, peace, exists only when you bring your attention to what you are not. Your mind will eagerly feast on stories of lack and disconnection. The body will willingly display evidence of dis-ease and illness. All of which serve to awaken us to the truth of who we are. An expression of Life, so flippin’ unique and beautiful, it hurts my eyes! To know who you are, you are invited to journey through the heart. May these words serve as a catalyst for your heart’s awakening. You know you hear it. You know you feel it. That stirring of beauty that knows the truth of who you are. You are not the drama and misfortune that unfolds, or the illness, the brokenness, the pain and disillusion. You are an expression of Life that has the capacity to allow things to be as they are. Responding from the depths of stillness, right doing emerges with no effort. New ways forward arise in your Being. Action is informed by the relationship you have nurtured with your intuition and with Life. The effort you labour over, is the small self, believing, thinking and attempting to control that which is uncontrollable. Life knows its purpose, desiring to move humanity toward greater consciousness. Life wants you to grow, and your mind-body will offer up lessons ripe for you to study. Ultimately Life will break down your inner walls, smooth out the bumps and soften your edges – if you will allow it. When I meet with people, I hear the murmurs and movement of Life at play. I pick up on the subtle and not so subtle shifts that desire to be awakened. The fear of human potential is real. We respond to fear by denying, running, avoiding and distracting ourselves from the action our heart desires to take. I feel you. Believe me, the empath in me sees your resistance mirrored in mine. The alternative to running from fear – get to know that which scares you – stay humble and curious about what it wants to teach you. What I offer in mentorship and energy sessions, as well as meditation groups, is a container large enough to hold this resistance, whilst women commit to unraveling and studying the energy present in their life. It is a self-study of thoughts, beliefs, emotions, behaviours and sensations, alongside the unseen and unknowable mystery that holds us all. This is the pathless path, a gentle, honest and necessary unfolding of who you are.